Courtyard Broomball is a retro parody of the Backyard Sports series from the late 90's. The sport played in the game is based on the real-life sport of quidditch (which is like a combination of rugby and dodgeball). You can hand pick your team from a growing cast of quirky, fictional characters, or real-life players from all over the world including the US, Spain, UK, Ireland, Norway, France, Peru, Saudi Arabia, and Uganda! 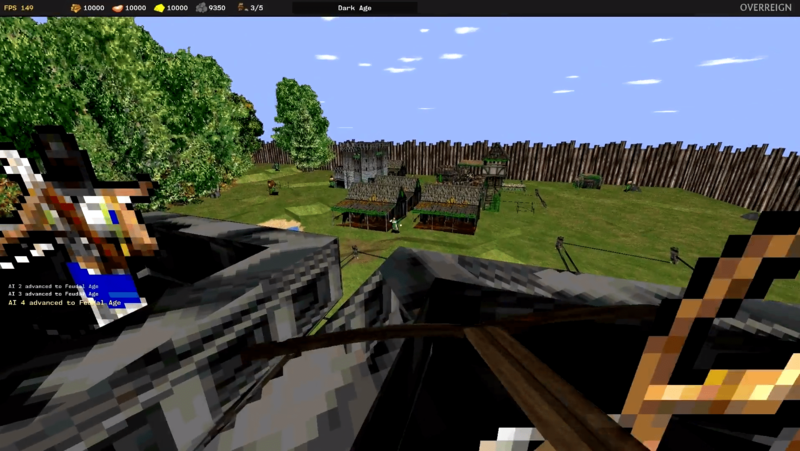 First Person Age of Empires 2 - Mod Overreign! Still in early alpha stages but progress is being made on it every day.